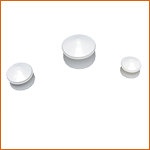 Besides its dispensing solutions, Gentec offers you a wide range of consumables adapted to your equipment. 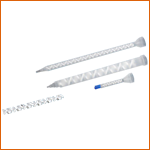 Composed of syringes, pistons, needles, caps, and syringes adapters; all our consumables are certified silicon-free and are customizable on request. 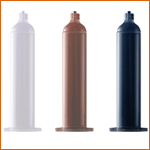 In addition to its standard consumable line, Gentec offers you its SEMCO line of consumables, the world’s leading manufacturer of metering cartridges, cartridges holders, caps and nozzles. 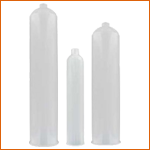 Furthermore, all of Gentec dispensing consumables are designed and submitted to industrial quality controls in order to meet industry standards. From syringes and cartridges systems to dispensing needles, Gentec proposes to manufacturers a complete selection of dispensing consumables. 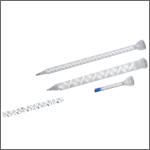 Fundamental element of your strength, high-quality needles are designed for industrial use. Certified silicone-free, they fit perfectly to your precision castings. 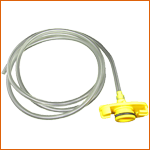 The cartridges handle a wide variety of chemical fluids for storage and application and can be easily adapted to pneumatic and manual dispensing systems. 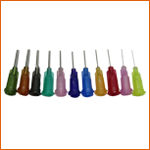 Precision molded plungers are available in three styles. Syringes are a major component of your dispensing. Contrary to the rival brands, our syringes are certified without silicone and possess precise proportions easy to recognize. 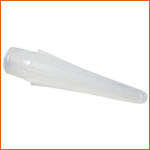 Have a long and narrow shape and are screwed to the extremity of the two-component cartridges. 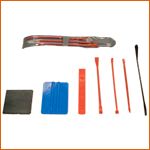 Semco® sealant removal tools made with Celcon® POM are designed to remove cured and semi-cured sealant from aircraft.